Important notice: CBSA has delayed the mandatory go-live date of April 1st. A new date will be announced in the coming days. Our blog followers—and Canadian importers in general—will be well aware that the Single Window Initiative is inching closer to realization. Government and industry updates have probably been coming at you fast and furious for the past year or two. And for good reason! This is a major undertaking and it will affect the importing processes in a pretty big way. For our part, Cole’s blog pages have kept readers informed and up to date on what it is, what it means, who it affects and when it goes live—starting with a blog back in December 2017, where we introduced the concept in our first Single Window Initiative article. The following April, we put out an update on the SWI implementation timeline along with some additional supporting information in a follow-up SWI update blog. And, just last month, we laid out some of the nuts and bolts of the program and hinted at the nature of the data that will be required by importers on the goods they bring into Canada with a blog on the Integrated Import Declaration and SWI. As a refresher, we’ll remind importers that the Single Window Initiative will very soon require all information on imported goods to be provided through a single, comprehensive submission to CBSA—a welcome improvement over the old way of submitting different information to different government agencies, which often led to duplication, inefficiencies and consternation. So, what’s new, you ask? 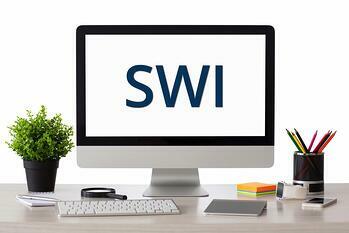 Although many importers are already using the single window since it’s been functional (yet optional) for over a year, using SWI to clear your shipments is about to become mandatory. That means if you’re still using an “old way” of submitting import data, it’s time to jump on board with SWI or risk being noncompliant with government requirements (and we know nobody wants that!). As it turns out, there’s a lot to know about SWI, so we’ve created your go-to resource for the latest on the Single Window Initiative on our website — its timing, the requirements of all nine of the Participating Government Agencies (PGAs), and resources to help keep everything straight — as SWI’s various elements are rolled out. We've also staffed-up a specialized SWI Team to field your questions and fulfill your needs for guidance and information on this admittedly-complicated program. Check back often for updates on our blog and webpages. Next up: we will break down the nine PGAs’ programs and requirements into easily digestible pieces that we promise will be way more user-friendly than the long-winded and jargon-heavy stuff you might find elsewhere. Call Cole today and tap into our wealth of SWI knowledge.